Borneo’s stunningly biodiverse forests have been shrinking at alarming rates with trees being felled unceasingly for timber or so that palm oil plantations can take their place. With even a relatively low level of further deforestation, local water cycles, which are key to supporting local biodiversity, will be disrupted to such a degree that local ecosystems will be thrown off-kilter for good. 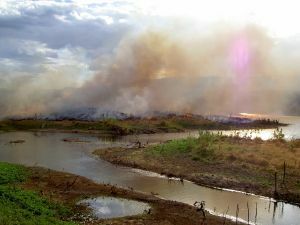 With increased deforestation will come less rainfall in key areas, thereby harming both local wildlife and agriculture. 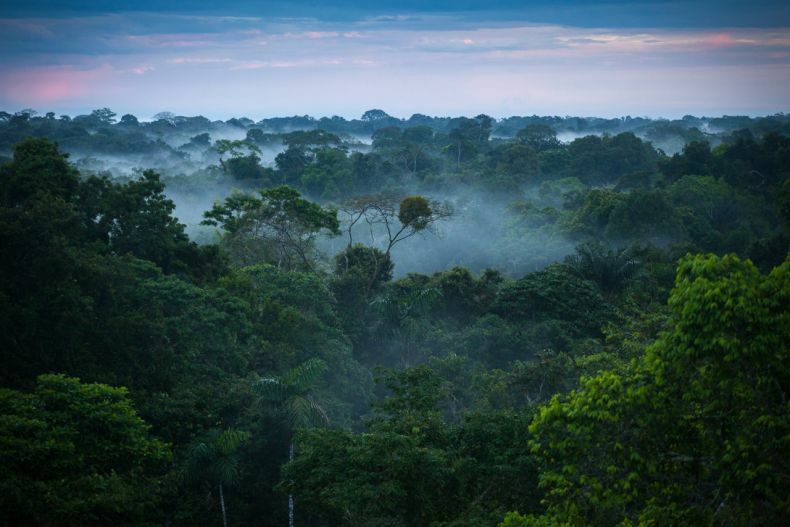 “Moisture from the Amazon is important to rainfall and human wellbeing because it contributes to winter rainfall for parts of the La Plata basin, especially southern Paraguay, southern Brazil, Uruguay and central-eastern Argentina,” the scientists write. According to their scenario, more deforestation will upset the precarious ecological balance in large areas in the Amazon Basin, leading to a degradation of the water cycle in a feedback loop of less rain and more plant die-off from increased aridity, which will then cause even less rain and yet more plant die-off. And to make matters worse, all this is happening while climate change is having its own negative effects on local forests. Alarmingly, the scientists say, it will take only as little as another 3% of forest cut for this to happen. Over the past half century vast swathes of primary rainforest have been lost to deforestation in the Amazon region and any more significant loss will have dire consequences for animals and people alike in the region. “If the climate changes – by deforestation or global warming – there’s a risk that more than 50 percent of the Amazon forest becomes a degraded savannah,” warns Carlos Nobre, a Brazilian scientist who co-authored the study. Think about that: where now thick forests still grow there will be nothing but endless savannah. A horror, yes. Yet something like that has already happened lots of times in the planet’s history. Scientists speculate that we may have helped turn the Sahara into a desert thousands of years ago. Human activities can have a terrible effect on the environment on far larger scales that many of us can even begin to imagine.